Augusta National Golf Club, considered the masterpiece of the legendary Bobby Jones, was built in the early 1930s and opened in 1934 with hardly any members, but is today rated by Americans in general as their country’s most revered course. It is also the home of the USA’s golf playing elite. Membership is by invitation only and, from the outside looking in, appears to be reserved by and large for the nation’s richest and most influential citizens of its business and professional world. 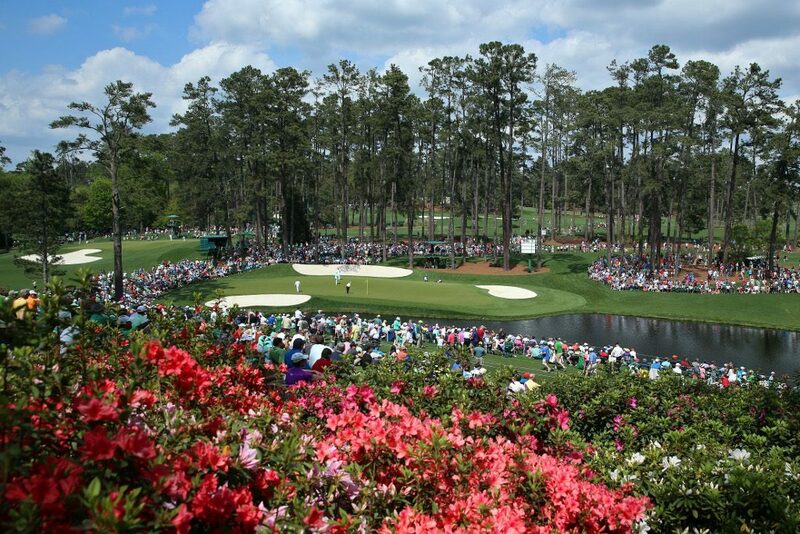 Perhaps because it is in play year after year, whereas its rival courses have to share the other three majors on a rotational basis, Augusta has an advantage, but there is no denying its beauty and conditioning, which is especially evident when the Masters is held there in early spring. It is not for nothing that it has been rated by the influential Golf Digest as the No 1 Course in the USA for a good few years now. 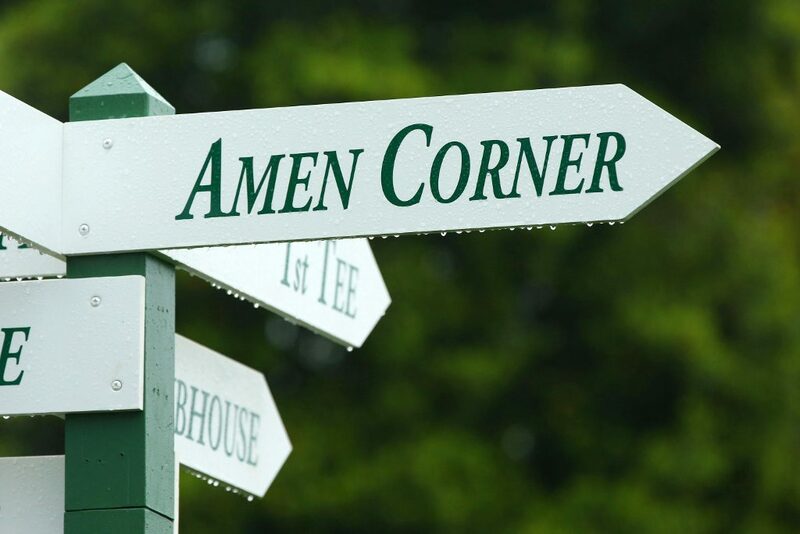 Every hole on the course is named after a tree or a shrub that grows on the hole, some of them being Magnolia, Pink Dogwood, Flowering Crab Apple and Azalea, but perhaps the most famous holes are the testing 11th, 12th and 13th, which have collectively come to be known as ‘Amen Corner’, a name given to this difficult stretch by sports scribe Herbert Warren in a 1958 Sports Illustrated article after one of Arnold Palmer’s four victories. The Crows Nest – Reserved for amateurs who have qualified for the Masters by winning the US and British Amateurs, it provides living space for up to five individuals and golfers have to climb a narrow set of steps to get there. Eisenhower Cabin – One of ten members’ cabins on the Augusta National property, it was built for member Dwight D. Eisenhower after his election as President of the United States. The cabin was built according to Secret Service security guidelines, and is adorned by an eagle located above the front porch. Hogan Bridge – A bridge over Rae’s Creek that connects the fairway of Hole 12 to its green. It is constructed of stone and covered with artificial turf. The bridge was dedicated to Ben Hogan in 1958 to commemorate his 72-hole score of 274 strokes five years earlier, the course record at the time. Magnolia Lane – The main driveway leading from Washington Road to the course’s clubhouse. The lane is flanked on either side by 61 magnolia trees, each grown from seeds planted by the Berckman family in the 1850s. 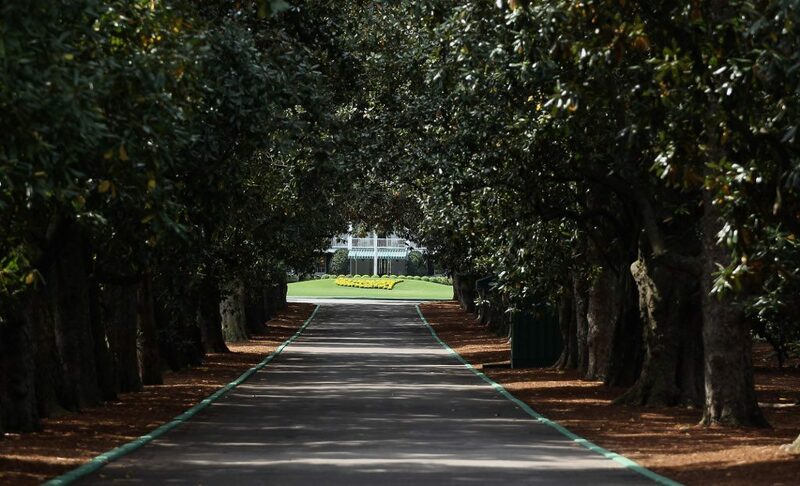 Magnolia Lane is 330 yards long and was paved in 1947. Nelson Bridge – A stonework bridge over Rae’s Creek that connects the teeing ground of Hole 13 to its fairway. 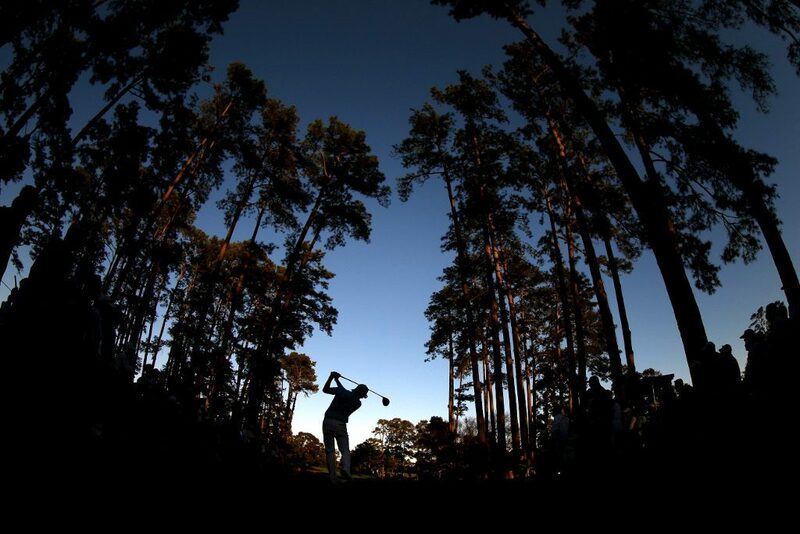 In 1958, it was dedicated to Byron Nelson to honour his performance in the 1937 Masters. Sarazen Bridge – A bridge over the pond on Hole 15 that separates the fairway from the green. Made of stone, it was named after Gene Sarazen for his sensational albatross (double eagle) with a four wood at the 1935 Masters tournament. which was called “the shot heard ’round the world” because of all the publicity both he and golf received internationally. 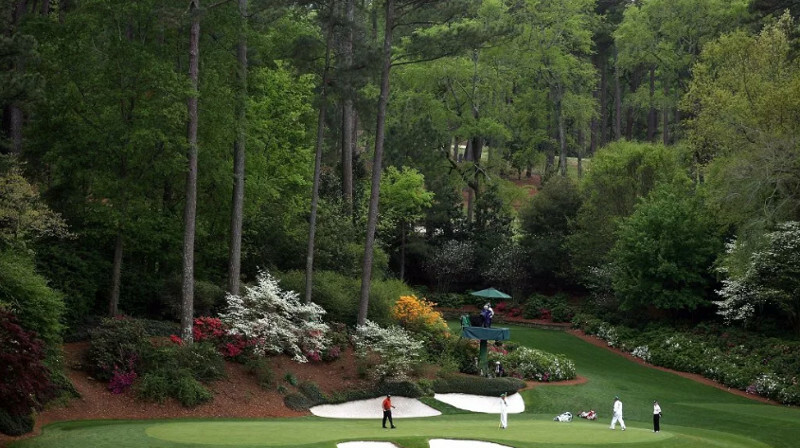 Georgia’s Augusta National Golf Club is one of the most exclusive clubs in sport. The saying goes that without an invitation, you won’t get past the front gate. 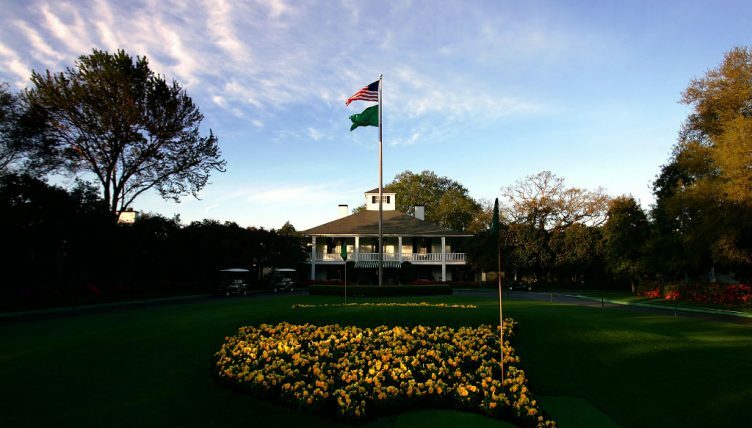 Until recently when Condoleezza Rice, the former US Secretary of State, and Darla Moore, a prominent South Carolina businesswoman, joined the club on invitation as its first female members, Augusta National had been strongly criticised for its all-male membership list, which has hardly been allowed to grow much beyond the 300 mark. Members, among them Bill Gates, co-founder and chairman of Microsoft, Warren Buffet, businessman and member of the Forbes 400 List and Jack Welch, former CEO of General Electric, are said to pay annual fees ranging from $25,000 to $50,000. Along with the legendary Cliff Roberts who led the club and established many of its fundamentals from the time of its inauguration in 1934 until 1976, Augusta has had a total of six chairman, William Porter ‘Billy’ Payne being the man in charge at the present time. Other chairman included William Lane (1976-80), Hord Hardin (1980-91), Jack Stephens (1991-98) and William ‘Hootie’ Johnson (1998-2006), the main target of the Martha Burk-led National Council of Women’s until-recently unsuccessful campaign of the past decade to get women admitted to Augusta. A slight dogleg right playing uphill, players have to be careful of going left and finding the trees. The smallish green requires a precise second shot, which is impossible to do if you’re out of position. 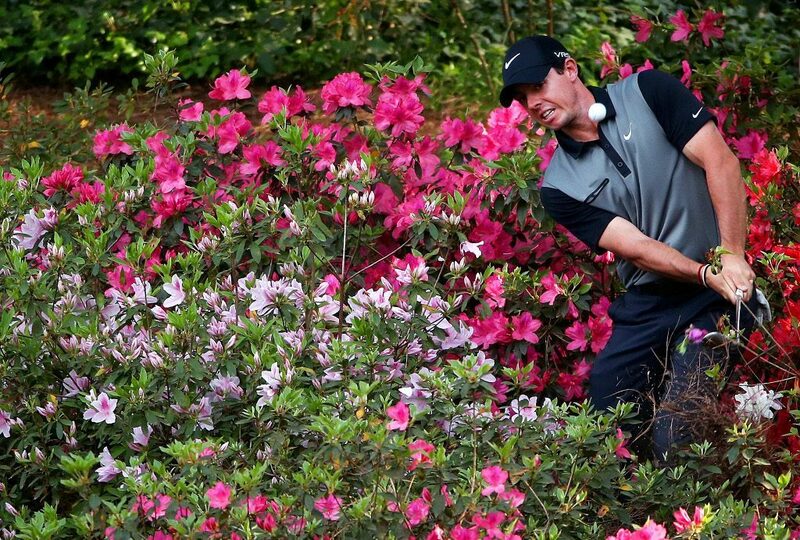 Tiger Woods has taken a six on this hole, Phil Mickelson a seven. Once again, the trees on the left of the fairway need to be avoided. The hole doglegs left, so best to stay right and have a clear shot towards the green, which is guarded by two large, deep greenside bunkers. A classic short par four, most players position themselves in front of the four fairway bunkers, requiring a full second shot into the green, which is pear shaped with a steep slope in front. A challenging par three, requiring a long iron into a green which is protected by two bunkers front right and front left. An uphill, dogleg left requiring an accurate tee shot to avoid several fairway bunkers. It’s made more difficult by a tricky green, which slopes back to front, and a rear bunker that collects balls hit too long. The hole was inspired by the legendary Road Hole at the Old Course at St. Andrews. An elevated tee and a large undulating putting surface. Pin positions can turn this hole from manageable to difficult due to the green’s shifting levels. This hole used to be very birdieable, but became much tougher after an additional 35-40 yards were added few years ago. It now requires a decent mid iron to find a green totally encircled by five bunkers. A mammoth par five, requiring an accurate drive to avoid the fairway bunker on the right side. There are no bunkers around the long, narrow green, but a series of mounds can carry an errant approach even further away. A green sloping from back to front is the main feature of this hole. Find the front of the green, and your ball could easily roll down. Most players opt for a drive down the right side so that they don’t have to worry about the two left greenside bunkers on their second shots. A long par four playing steeply downhill, with a large center bunker well short of the green. A big right-to-left shot is required in order to get the maximum run. A very difficult hole that averages well over par. Another fearsome hole, the start of Amen Corner, trees down the right of the fairway, a green guarded by water front and left and a bunker right center. Larry Mize famously chipped in here to beat Greg Norman in a play-off in 1987, but consider that the exception to the rule. One of the most famous short holes in golf. Club selection can be tricky due to varying winds. The green is wide but narrow. Players must find the putting surface, as there’s water in front and plenty of trouble at the back. It’s a hole that can make or break a round. Players who have found the center of the fairway have a chance to go for the green in two on this massive dogleg left. A tributary to Rae’s Creek runs along the front of the green, while four bunkers lie in wait behind. The only bunkerless hole at Augusta, though it makes up for that with a significantly sloping green. Needs two solid shots to find the green in two. A manageable hole if the wind is favourable, a second shot needs to clear the pond in front of the green and avoid the bunker that guards it on the right. Gene Sarazen holed a four-wood approach from 235 yards away for a double eagle in 1935. The hole is played entirely over water into a green protected by three bunkers. The putting surface is large but slopes significantly, so an accurate tee shot is required to avoid a bogey four or worse. Tiger Woods famously chipped in here in 2005. The famous Eisenhower tree once stood just left of the fairway, until an ice storm in 2014 caused irreparable damage. The hole requires an accurate second shot because the putting surface slopes off in all directions. An uphill dogleg right fairway protected by two bunkers on the left. A second shot into a deep narrow green flanked by more bunkers. One of the most legendary finishing holes in golf.